Cost for 300kg of asbestos waste to be disposed of legally costs around $145 and over a tonne costs around $380. 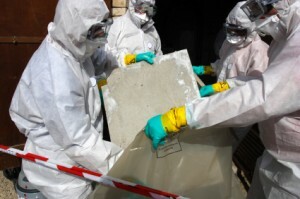 Asbestos waste can only be accepted at lawful sites and some might require notice or pre-booking. *NB: Prices quoted above are estimates only and would vary depending on individual circumstances. A licenced removalist will come to your home, remove the asbestos safely and dispose of it according to WorkCover, EPA and council regulations. Compared to other household expenses and tradesmen, the cost of retaining a professional asbestos removalist is affordable. How Expensive Is It To Use A Licenced Professional To Remove Asbestos? The cost to remove fibro or bonded asbestos can vary. The cost of using a licenced professional includes safe removal and disposal at an authorised waste depot. The first 10 square metres costs on average from $35m² depending on circumstances. Often discounts apply for the removal of metres thereafter. Additional costs may apply, depending on location.